For nearly a week, the world has turned its quizzical gaze toward the Far East skies and surf. Malaysia Airlines flight MH370 vanished en route to Beijing from Kuala Lumpur on Saturday, March 8, with 227 passengers and 12 crew on-board, and the investigation into what happened has yielded many more questions than answers. Malaysia Airlines’ response to the MH370 crisis will greatly impact its long-term future. While the airline jumped into action through public relations and social media, many of its statements have been cryptic and confusing. The company’s erratic response opened the door to speculation from countless voices across news outlets, blogs and social media. Will the Malaysia Airlines brand be able to rebound, or is it destined for a spot in airline history alongside the likes of Pan Am, Eastern and Hooters Air? As Malaysia Airlines considers its next crisis communication steps, it may be wise of the airline’s leadership to learn from the errors of its nearby neighbor, Asiana Airlines, following its San Francisco crash last year. Asiana’s tweet fell largely on deaf ears, as did the indifferent press release posted two hours later – a belated six hours after the crash. By then, the story had already been told and public opinion was substantially formed. Many of the surviving passengers had taken out their smartphones seconds after scrambling off the plane and already shared photos of the crash through social media. David Eun, head of Samsung’s Open Innovation Center, was one of those passengers and live-tweeted the entire episode. One of his startling images of the plane was retweeted more than 32,000 times. Similar to Malaysia Airlines, Asiana had absolutely no control of the situation. Truth mixed with rumors, and in the process the airline suffered a devastating, largely self-inflicted blow to its brand. Southwest Airlines, by positive contrast, set a high mark worthy of praise and replication. On July 23, 2013, the nose gear on Southwest Flight 345 collapsed and caused a rough, uncontrolled landing at LaGuardia Airport. The plane skidded 2,175 feet – more than seven football fields – before stopping at the edge of the runway. Ten passengers were hurt, six of them needing hospital treatment for minor injuries. The airline’s immediate, proactive and informative digital response was not unusual for Southwest, and it did not go unnoticed. 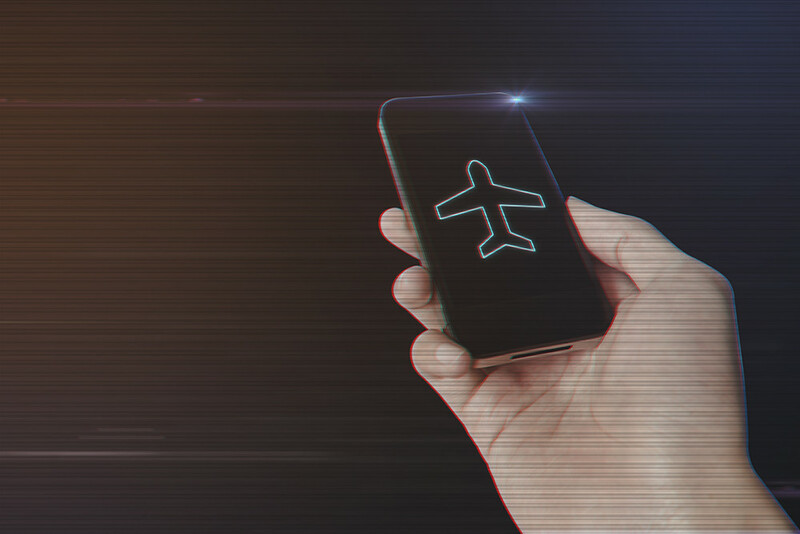 Frishling, who has developed crisis plans for numerous airlines across the globe, recognizes how easy it is to lose control of a crisis in today’s digital age. But where exactly should you distribute your message when everything is on the line and you don’t have a second to spare? But doesn’t a company need a crisis plan before it starts messaging across social media? It’s one thing to write a crisis plan, but entirely another to live it. Implementing a social media plan in the midst of a major emergency requires a clear definition of roles, alternative plans and trained support options. Crises are rarely short-term events. While the actual on-the-ground emergency may be over after a few hours, the crisis online may continue far longer. While Southwest’s tweet just minutes after the Flight 345 incident didn’t include any details about what had occurred, it greatly helped the airline own the conversation. Southwest ended the tweet with #Flight345, thereby establishing it as the airline’s official hashtag for the incident. When Asiana Airlines finally issued its first tweet hours after the San Francisco crash, it used the hashtag #SFO. This was a problem, because by then most of the conversation was already happening on the hashtags #OZ214 and #Asiana. The crisis within the crisis for Asiana, in retrospect, was its relatively slow response to creating, maintaining and owning the conversation about its crash. Crisis communication has changed by leaps and bounds over the last five years. Today, the initial news “announcement” frequently comes from a participant or onlooker at the scene, followed by mainstream news outlets. Brands in crisis – faced with emergencies that can range from a plane crash to the malfunctioning of a vital software system to the unruly behavior of an unthinking celebrity – must be as truthful and transparent as possible. Thanks to today’s technology, everyone is an amateur investigative reporter with the resources to find the truth, often before the brand owner even knows it. In the case of Malaysia Airlines MH370, thousands of people worldwide have turned to satellite imagery to search for answers themselves. When the final conclusion is reached, it is doubtful that the brand will be behind it. Now is the time to listen, empower and lead. The era of purely reactive crisis communication is over. Social has arrived on the scene. Enter your information below to download seven expert tips from Steven Frishling, globally renowned travel and aerospace consultant.